Dr. Jill Trotter grew up in Windsor, Ontario. Competitive swimming and the beautiful scenery brought her out to Simon Fraser University. 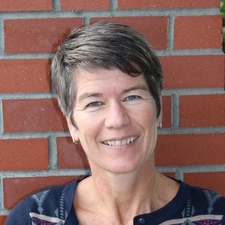 After graduating from the University of Waterloo she headed back out to Maple Ridge in 1989 where she has practiced optometry with Pacific eyeDoctors®ever since. She has combined her love of traveling with volunteer work by being part of eye care missions to Guyana, South America, Jamaica and Punjab, India. She thoroughly enjoys working with the great staff and doctors at Pacific eyeDoctors®. In her spare time, Dr. Trotter loves to sing, swim and to enjoy the great outdoors with her partner and family.